Keeping track of everyone’s address can be frustrating. A traditional physical address book keeps addresses organized, but it gets messy when friends or family move and you need to cross out the old address and write in the new one. And if you lose a physical address book? That means starting from scratch! 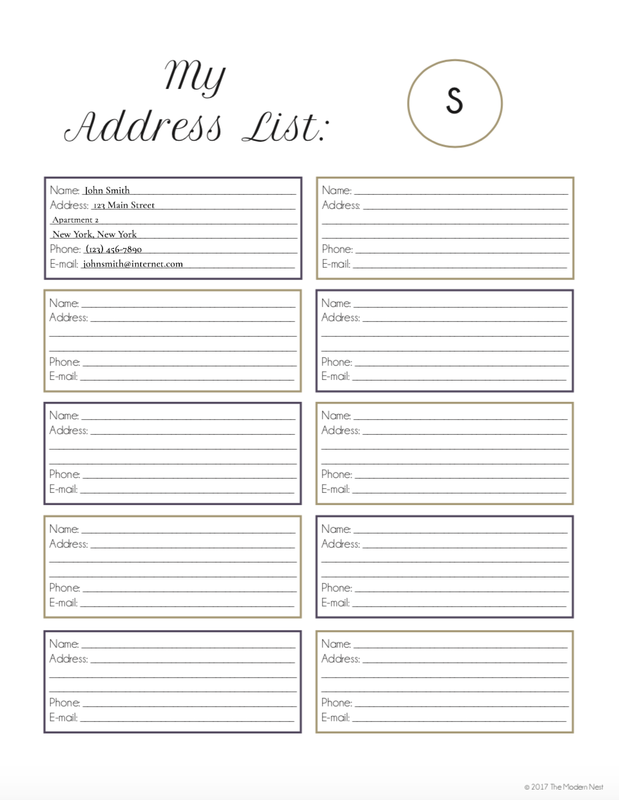 That’s why we put together this printable address book. It comes as a fillable pdf that you can save and print… no messy handwriting to worry about! And your address book will stay neat forever as making changes just involves deleting the old address and typing in the new one! If for some reason you lose your physical copy, just print a new one and you’re good to go. You can choose to simply save your address book to your computer or the cloud, or you can save and print it to put in your home management binder. If you save it to the cloud you’ll always have access to it, even during those times when you didn’t expect to need it. 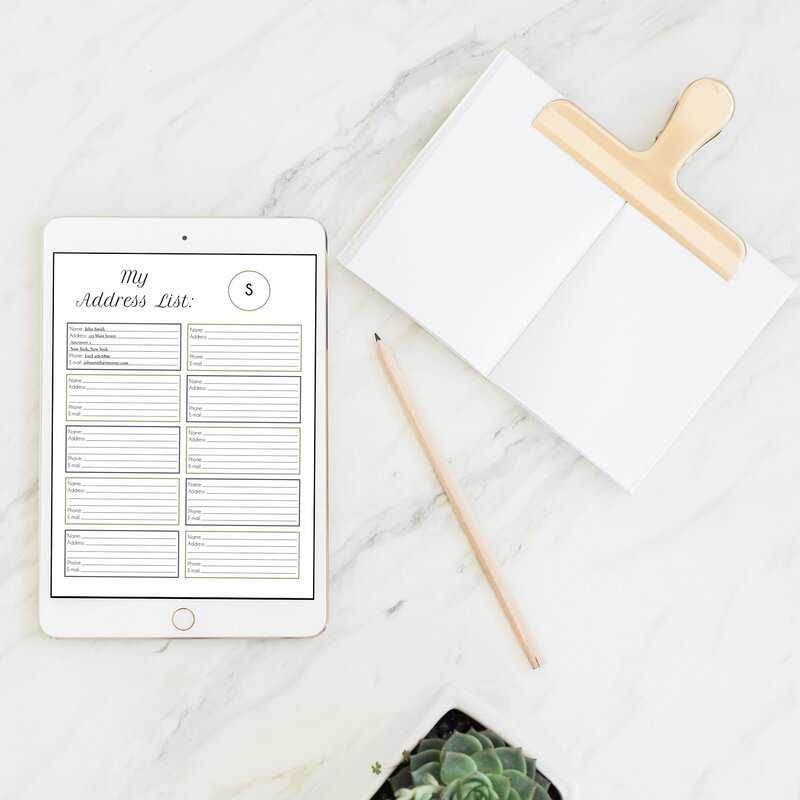 This printable address book comes with one page per alphabet letter, plus additional unlabeled pages for you to use as you wish. 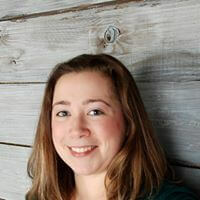 The unlabeled pages are perfect for names that don’t begin with an English letter or for adding additional contacts for names that begin with more common letters. Grab the printable address book today and make keeping up with addresses easy from here on out!